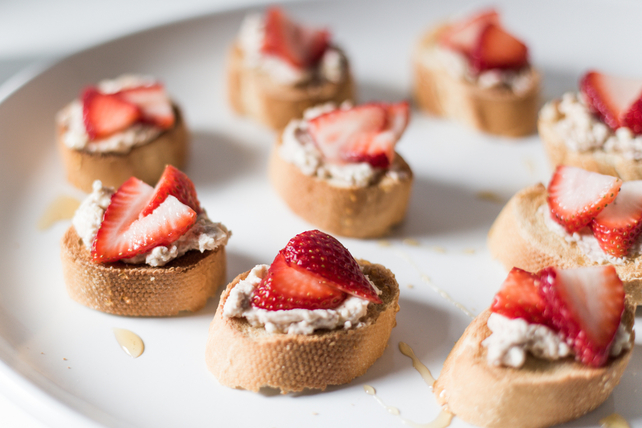 Topped with feta and berries, then drizzled with honey, this sweet and tangy bruschetta appetizer lends Greek-style appeal to an Italian classic. Mix cream cheese, feta, cinnamon and 1 Tbsp. honey until blended. Top with strawberries; drizzle with remaining honey. Substitute 2 apples, cut into 24 slices, for the sliced strawberries.